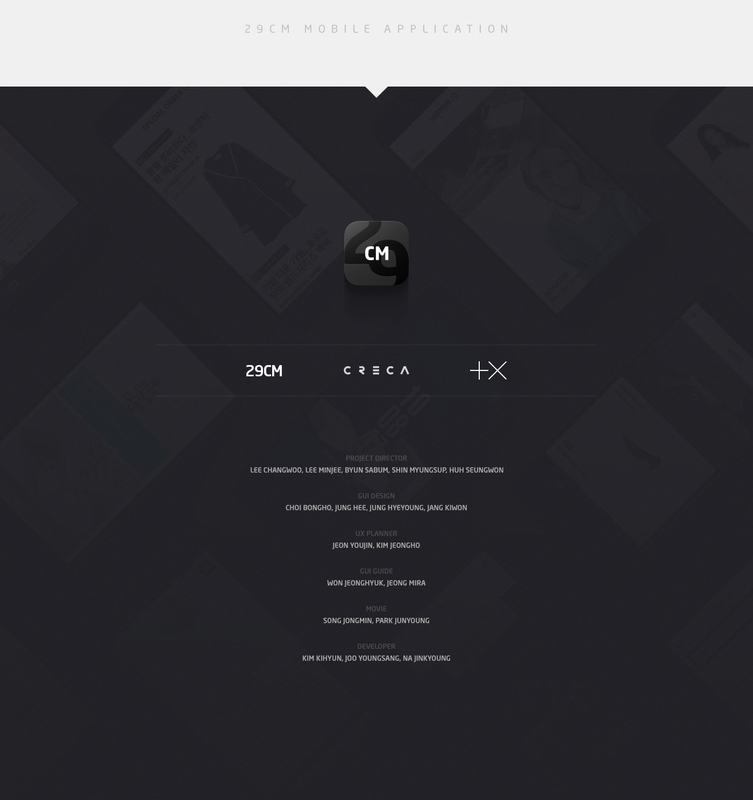 29CM MOBILE APP 2.0 VERSION IS LAUNCHED 29CM mobile application was coproduced by Plus X, CRECA and the online select shop 29CM at January 2014, and after 8 months 2nd version was launched at August 20, 2014 with new looks. (we are running a little bit late at Behance.) There are various function and contents than in the past. 1st version of 29CM was a beta version of teaser concept which was not included an official commerce. And we are pretty sure the 2nd version has achieved final status. Feel and experience the new 29CM mobile app every time, everywhere! We have such great news at the right time. 29CM Mobile app won the winner of the ‘Mobile & App’ at the Red-dot Communication Design Award 2014 and also won the Minister Prix, the top prize of the Korea & Award 2014. Finally it won the winner of the ‘Apps/Software’ at the iF design Award 2015. 29CM MOBILE APP 2.0 UX/UI DESIGN We enhanced the concentration levels by reducing the complexity of design with minimization of color/line/surface and also designed the UX/UI which is optimized for mobile devices. ‘Pinch in/out’ function which can share stories and products and ‘Following text’ technique applied the time difference of text while sliding the screen have been kept like the 1st version. We just added the UX/UI to comply with the new menu and contents.